Are Robots Replacing Humans In Customer Care? 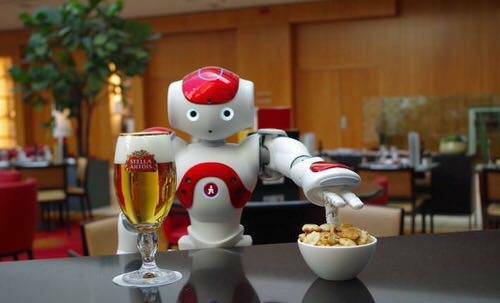 You may have heard the news lately from Guangzhou, China about the firing of robots as waitstaff. Out of three restaurants that used robots to serve customers, two have closed and the third fired its robot workers. The reasons? The robots couldn’t effectively handle soup dishes, often malfunctioned, and had to follow a fixed route that sometimes resulted in clashes. 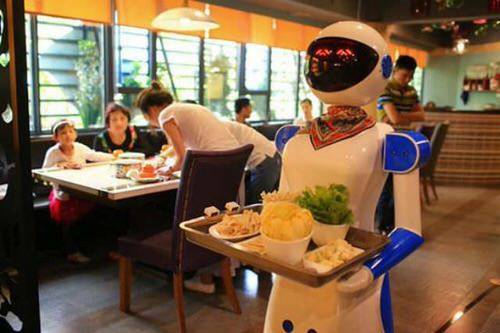 A customer also claimed that robots were unable to do tasks such as topping up water or placing a dish on the table. “The robots weren’t able to carry soup or other food steady and they would frequently break down. The boss has decided never to use them again,” said one employee. The robots were priced at around $8,000, not including electricity and repairs, making them cheaper than human staff. But except for the novelty value, it was a somewhat failed experiment. However, robots are being used increasingly in customer support and care in a range of capacities. While there are none operating with complete autonomy, there are plenty of examples where robots have a functional purpose which they are successfully delivering. You’re no doubt familiar with Pepper Robots, who partake a range of tasks including helping people at train stations in France, providing information and direction on trains. In Spain and France, they work in department stores, highlighting products and providing directions. You may have seen Japan’s Henn na Hotel that is staffed largely by robots in both front desk and customer service tasks. But it’s not merely a one-off. Robotics company Savioke have created a robot called Relay for hotel delivery service. It can navigate autonomously, ride the elevator by itself, and carry items such as toothbrushes, towels, and snacks to guest rooms. It’s currently employed successfully in several US hotels. 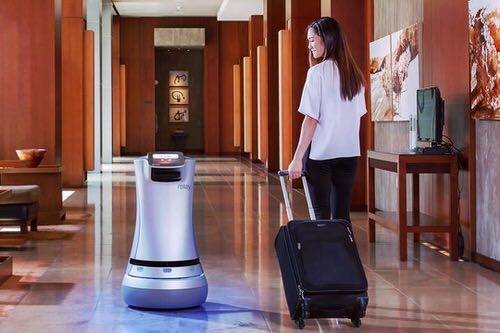 The robot – which uses Wi-Fi and 3D cameras to navigate around the hotel – doesn’t have arms, so it has to rely on its display screen to communicate with guests. In Belgium, The Marriott Hotel Ghent employs “Mario” – designed to provide an extra level of client experience. Mario is deployed in the MICE (Meetings, Incentives, Conventions, Exhibitions) market for a welcome or farewell speech. Like many corporate mid-level execs, he also gives classic PowerPoint presentations. Mario sprung from the collection of Nao robots created by Aldebaran – the team behind Pepper, too. Aldebaran’s Nao family of robots are also utilized at Hilton McLean in Virginia where “Connie,” the first Watson-enabled robot concierge in the hospitality industry is employed. Connie draws on domain knowledge from Watson and WayBlazer to inform guests on local tourist attractions, dining recommendations and hotel features and amenities. Using a combination of Watson APIs, including Dialog, Speech to Text, Text to Speech and Natural Language Classifier, Connie greets guests upon arrival and answers questions about hotel amenities, services and hours of operation. Nao robots also have more serious functions to serve. In Canada, they come in the form of MEDi, employed at the Alberta Children’s Hospital. 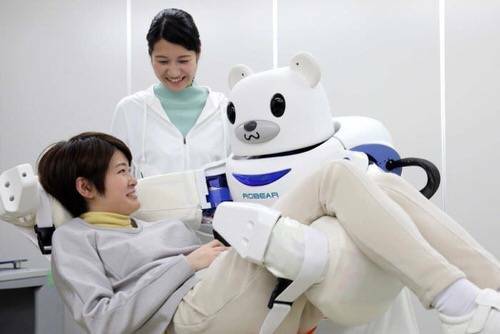 The robots are are specifically programmed with sets of behaviors that match the steps of a medical procedure, providing pain management support during medical procedures. A study at the hospital involving 57 children between the ages of four and nine found the robots helped ease fears when children came in for flu shots. 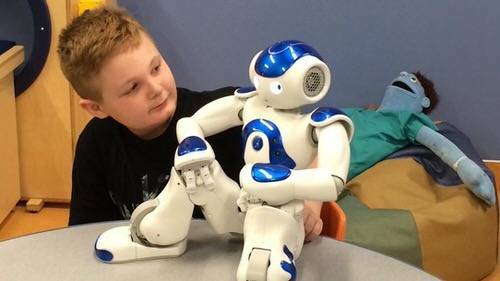 According to Tanya Beran, a professor of Community Health Sciences at the University of Calgary who helped program the robots, she says among those kids who interacted with the robot, the hospital reduced children’s pain and anxiety by half. MEDi is programmed to interact with kids for a wide range of procedures, starting with flu vaccines and blood draws and since expanding to include IV and catheter removal and brain-activity tests. Beran says they’re looking to add cast-cutting to MEDi’s skills soon. The use of robots in aged-care is also on the rise. Often a poorly paid, thus understaffed, sector, it’s not unreasonable to see a future where basic work and support tasks will be performed by robots or people assisted by robots or exoskeletons. 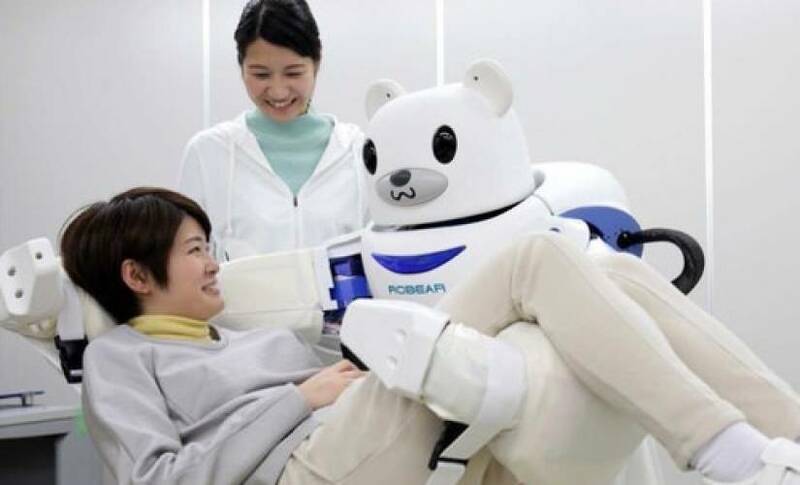 RIBA in Japan is the first robot that can lift up or set down a real human from or to a bed or wheelchair. RIBA does this using its very strong human-like arms and by novel tactile guidance methods using high-accuracy tactile sensors. RIBA was developed by integrating RIKEN’s control, sensor, and information processing and TRI’s material and structural design technologies. Robots in hospitals also have a part of play in germ prevention. Xenex “germ zapping robots” are currently operational in a series of hospitals and aged care facilities in the US. The Xenex robot uses pulsed xenon to create broad spectrum, high intensity light covering the entire germicidal spectrum. The light quickly destroys harmful bacteria, viruses, fungi and bacterial spores on surfaces inside the facility. Clearly the advent of machine learning means that robots are getting smarter. 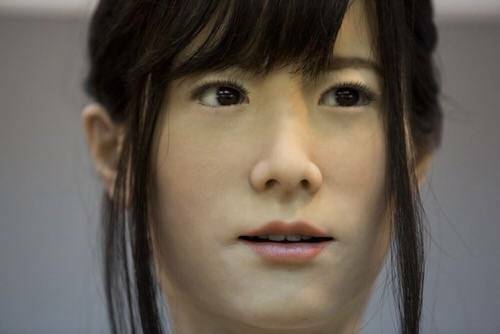 There’s also greater efforts to make robots more lifelike; This month saw the release of Jia Jia, developed at the University of Science and Technology of China, a human-looking robot which can speak, show micro-expressions, move its lips, and move its body. The robot is not dissimilar in appearance to Chihira Junco, a robot released last year by Toshiba, employed as a greeter at a waterpark and public events. Junko speaks Japanese, English and Chinese and incorporates Toshiba’s speech synthesis technology. Perhaps the most interesting robot I’ve seen of late comes from Boston Dynamics, who you may recall bought us the big dog robot. “Atlas, The Next Generation” is designed to operate outdoors and inside buildings. It is specialized for mobile manipulation, and electrically powered and hydraulically actuated. It uses sensors in its body and legs to balance and LIDAR and stereo sensors in its head to avoid obstacles, assess the terrain, help with navigation and manipulate objects. This version of Atlas is about 5′ 9″ tall – about a head shorter than the DRC Atlas – and weighs 180 lbs. It’s not pretty enough to be functional in customer care but it sets an interesting – if a little sinister – look into robots of the future.